One of the most common questions we get asked about cheer uniforms and team warm-ups is “what type of logo/lettering is best for me?” followed by “how much does it cost?” To answer these questions and more, we’re starting a new series to guide you through the different application types, and what might work best for your team! First up, we're talking about vinyl - the perfect option for bold lettering on a budget. Learn more, below! Inspiration for your next dance costume can come from anywhere: the runway, your Instagram feed, a sneaker, or even something as random as that gorgeous peach that's sitting on your desk! We know it can feel overwhelming to narrow your focus to create a concept that is unique from your competitors. To help, we've rounded up some of our favorite resources for finding dance costume inspiration. One logo created with 5 different techniques. Price will vary depending on logo size and exclude base garment price - shown here at 7.25" high. Below, we summarize 5 ways you can add your logo to a cheer uniform - embroidery, vinyl, sublimation, spangles and rhinestones - and the pros and cons of each! 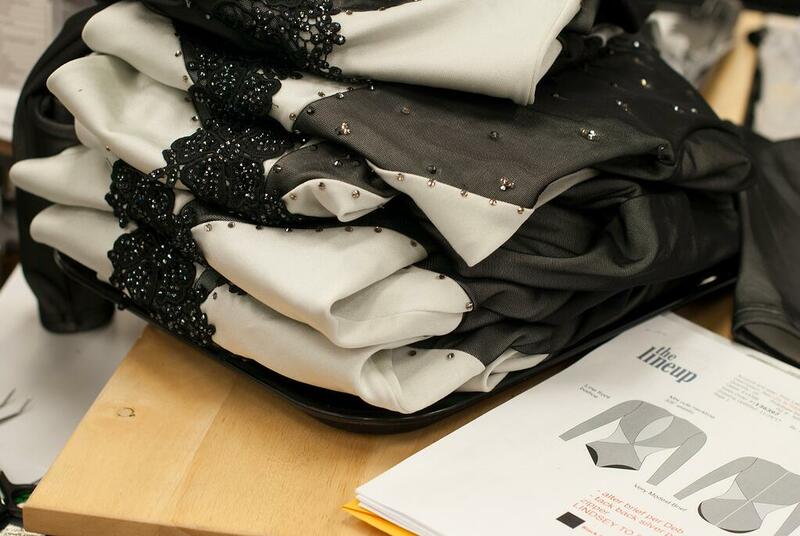 In our How Much Does a Custom Dance Costume Cost series, we’ll be covering a few things that will affect the price of your dance costume: patterning and set-up fees, fabric choices, the number of costumes being ordered, and embellishments. Today we’ll talk about construction details that add to your custom dance costume costs - the “cut and sew” features of your costume! Construction details include the base pieces of your costume that need to be cut out of fabric and sewn together, and doesn't include add-on features like rhinestones, appliques, or fabric choices. Generally speaking, the more construction details going into your garment, the more it will cost. Below we break down 5 common construction details that add cost, along with average price ranges of each. Prices will vary depending on your chosen costume company and your group discount, but below we used pricing from The Line Up, before any discounts are applied. Two dance costumes with floral and lace appliques that can also be used as a hairpiece: Mika Top Applique (left) and Jupela Leo Applique (right). If there's one dance costume trend that doesn't seem to be going anywhere soon it's appliques - and for good reason! Appliques are a popular choice because they add a layer of texture and depth to any costume, as well as a feminine touch. If you are looking to use appliques on your next dance costume, there are a few technical things to consider though - like cost and their delicate nature. To help, we've created the definitive guide to using appliques for dance costumes! Our 2018 Dance Costume Collection is here! To celebrate we've rounded up our absolute favorite looks and paired them with some amazing and talented dancers (aka our models)! To curate this year's collection, we discovered what inspired our customers this past year. For lyrical and contemporary it's romance: soft and feminine nudes, floral patterns and lace, and sheer layers. 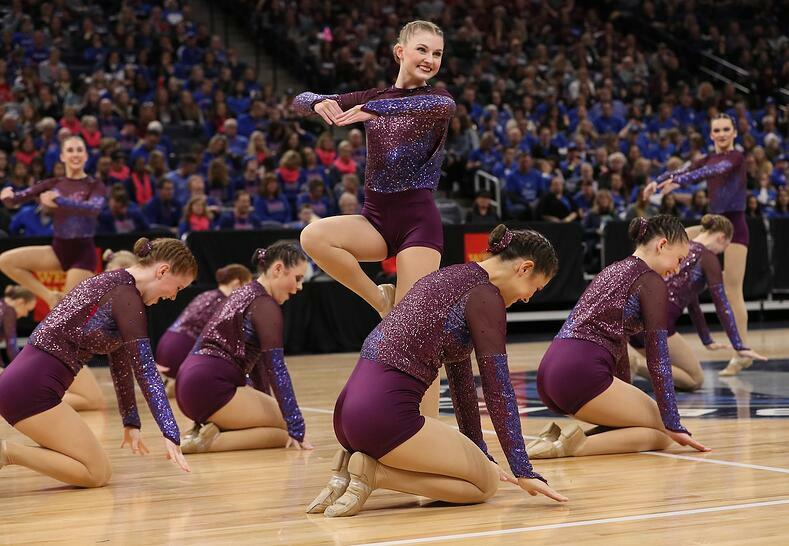 For jazz and tap it's intensity: playful fringe, plenty of energy, and bold strength. For hip hop it's fierce and theatrical: looks drawing inspiration less from street wear and more from music videos and NBA dancers. Get inspired and take a peek below! You've got your choreography, your team is practicing hard, and now it's time to design your dance costume! This may seem like a daunting task, but designing a custom dance costume can really be broken down into 8 simple steps. 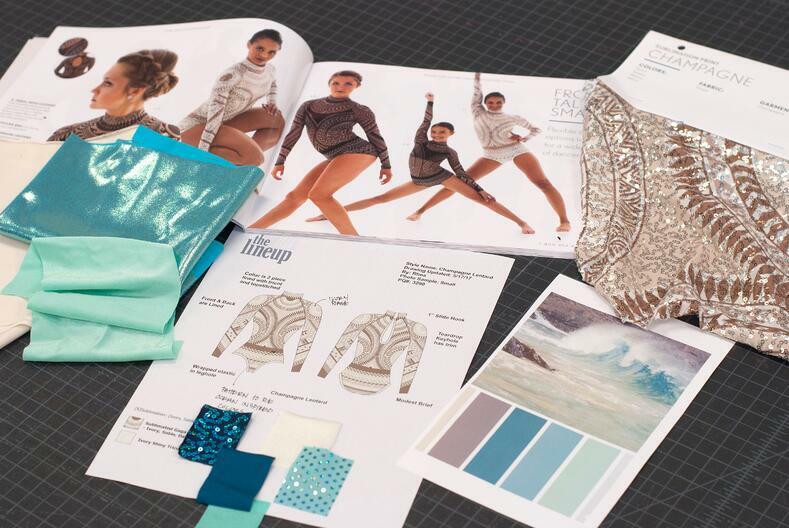 If you've been following along our How to Design a Custom Dance Costume series, we've covered everything from prototypes to fabrics. We've compiled all the posts in this series to give you a brief overview of the custom dance costume design process. Check it out below!